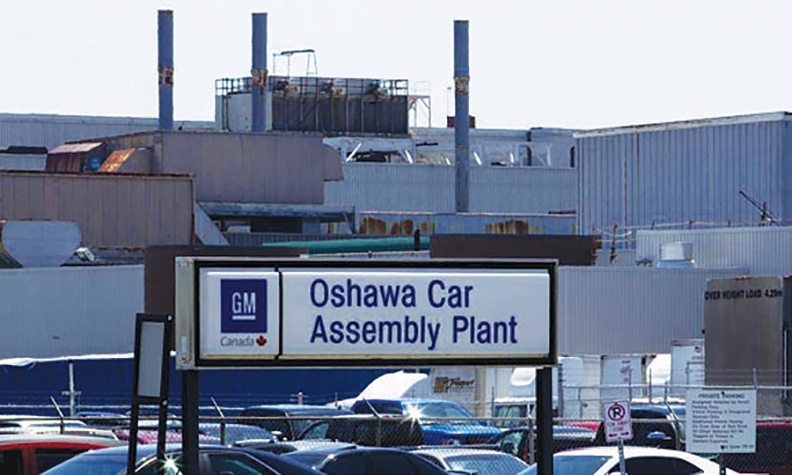 Under terms of the four-year collective bargaining agreement GM and Unifor reached in September 2016, the automaker will invest $400 million in its Oshawa facilities. General Motors will add 500 employees and a second shift to build trucks at its assembly plant in Oshawa, Ont., according to a union memo. The memo, circulated among Oshawa members of the union Unifor, was intended to canvas employees about future work options. The Chevrolet Equinox is currently built on an Oshawa line that General Motors says will end production this summer. One of the options for employees building the Equinox is to take a job in truck production, which will begin late this year, Unifor says. The union projects 535 initial truck jobs will be created — and filled from within — in November or December. Those first 535 jobs will likely be filled by a number of the 667 employees whose jobs on the “consolidated” Equinox line end this summer. Additional truck jobs will be added later next year, the union says. Those who currently work on the Equinox line also have the option of a retirement incentive that includes a grandfathered 2018 Christmas bonus if they agree to retire between Aug. 1, 2017, and Jan. 1, 2018. The plans were reported earlier by the Globe and Mail newspaper. New tools, machinery and equipment will add capability to the “flex” line to accommodate production of both cars and trucks, which will make it the only facility in North America capable of doing so. Shortly after the agreement was reached, Reuters reported that workers at Oshawa will install component parts and do final assembly of pickups using bodies shipped from a GM plant in Fort Wayne, Ind. GM Canada was not available for comment late Monday. Another 1,600 people already assemble the Chevrolet Impala, Cadillac XTS and Buick Regal sedans on the flex line at Oshawa.